On February 11th, 2011, Nokia published its new strategy and made a co-operation agreement with Microsoft. 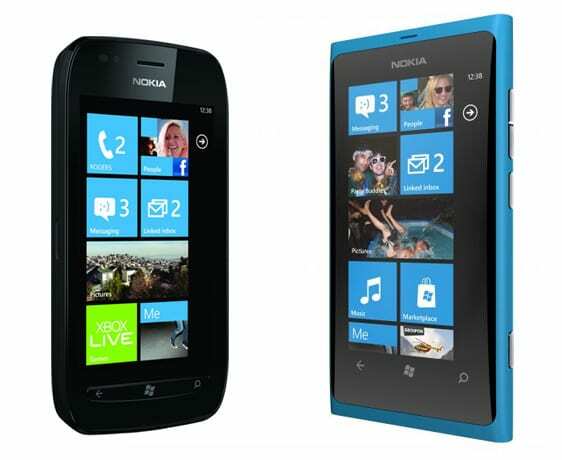 Windows Phone operating system was chosen as the new platform for Nokia smartphones. MeeGo became an open source mobile operating system project, which, in the long term, would be used for market research on next generation devices, platforms, and user experiences. The strategic partnership with Microsoft practically sealed the destiny of Nokia’s involvement with the MeeGo OS, which had been in development together with Intel since the beginning of 2010. The new strategy included abandoning MeeGo and releasing only one device as a result of the two years of development. A week before the release of Nokia’s new strategy, a memo from Stephen Elop to Nokia employees leaked to the Internet. In his Burning Platform memo, Elop described the problems of Symbian and MeeGo, and the poor state of the company’s competitiveness in comparison to Apple and Google ecosystems. In reality, the situation at Nokia and in the MeeGo development had been so disorganized for the last couple of years that publishing a new strategy might actually have been the deciding factor in completing the N9 phone. MeeGo team and other Nokians had been hit hard and they had only one clear goal, to finish a product based on MeeGo and to get it in to the shops during the year 2011. Nokia has been very quiet about MeeGo’s development. 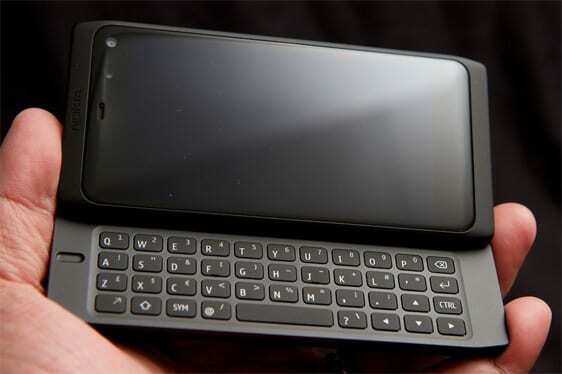 Pictures leaked to the internet show an N9 with a QWERTY keyboard, a device which was expected to lift Nokia back to the top of the smartphone market. As a result from the partnership with Nokia and Microsoft, and the Windows Phone strategy, MeeGo team was shut down after releasing the N9 and a couple of software updates in little over a year. Eventually, also the the Linux based Meltemi operating system designed for cheaper mobile phones was buried and all available resources have now been focused on to the Windows Phone. On TaskuMuro.com, we have been actively following the development of Nokia’s smartphones, and also the development of the Linux based Maemo and MeeGo operating systems. Because there is so little information publicly available about the history of MeeGo, we left a message on our MuroBBS discussion forum in the summer of 2012. In the message we asked people involved in the MeeGo development to share their stories. We received numerous contacts from former and present Nokia employees who asked to remain anonymous. Total of 10 people were interviewed for this article. With the right questions, Nokia’s large MeeGo puzzle started to take form. This article is largely based on information and interviews from anonymous sources. We have done our best to compare the information received from these various sources, and to combine them with information leaked on the Internet over the years. The readers need to understand that the interviewees worked on environments and projects that were abandoned after several years worth of development. There are a lot of lost jobs, failures, and bitterness behind their words, since nearly 5000 Nokia employees have been laid off in Finland during the past year. The story of Nokia Meego is written by Sampsa Kurri, who founded the technology-centered site Muropaketti in 1999. Nowadays Muropaketti is owned by Otavamedia. Graduated as MSc from Tampere University of Technology, Kurri now produces content and helps in the development of the site through io-media Ltd., which he founded. Feedback for the article can be sent to sampsa.kurri [a] muropaketti.com. The writer of the article does not own stock of any of the companies mentioned in the article. The English translation of the article was made with the help of active people from our MuroBBS forums. Special thanks to Aleksi Vänttinen. Since 2005, a very small group of people with limited resources at Nokia developed a Linux based Maemo operating system and devices based on it. The team was known as OSSO (Open Source Software Operations) and according to one team member who worked there from the beginning, the goal was to produce a product that would change the world. The OSSO team was renamed as Maemo team in 2007, and as a consequence of Nokia’s and Intel’s partnership in 2010, it was renamed as the MeeGo team. All the way from the beginning the group was headed by Ari Jaaksi, who resigned in October 2010 and moved to HP to develop the WebOS operating system. The first two devices were the 770, released in 2005, and its follower, the N800, released in 2007. Both were developed with very small resources. 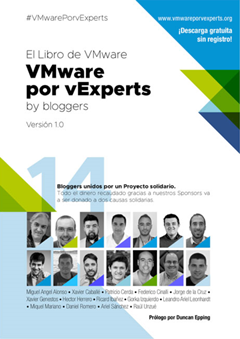 Because the team was small, only a few dozen employees, software development was nimble and fast. There was no unnecessary bureaucracy to slow down the development and employees described product development as a playground. Products were mostly made by subcontracting without a top organization or support from certain sector’s professionals. No one intervened with the process and it resulted in quality problems in finished products. 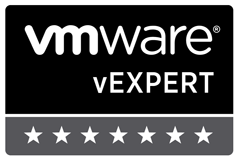 Considering the small resources and the subcontracting, lowest price was always the first priority in choosing components, space requirement was second and poor hardware performance was patched up with software optimizations as well as possible. 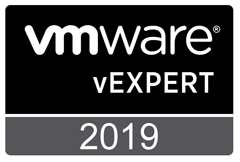 Cutting expenses from the software developers didn’t particularly motivate anyone, considering the fact that savings were made in material expenses by using poor components, which then meant stress for the next couple of weeks in performance optimization. Most of the people we interviewed from Nokia said that Nokia used too much subcontracting. Building specific knowledge from scratch inside the company is expensive and time consuming, and the OSSO team’s resources were limited. There were a lot of problems, it was difficult to keep hold of the quality of the subcontractors’ work and the contracts weren’t supervised properly. The subcontractors could cheat in the contracts by changing the best experts, who were there in the beginning, to less qualified people. Examples given included bad code written in India and the communication problems with the Chinese and the Japanese because of their poor English skills. All this resulted in more additional work and delays for the project managers in Finland, when they had to take measures to repair the errors and poor quality. At the same time the team size grew and so did the bureaucracy with it. This caused lessening of agility in the software development, which slowed down the development. Especially the improvement suggestions that came from the MeeGo team developers were hard to get accepted and many left the improvement suggestions unmade because of this. One example of this was told to have been the up-down swiping gesture in the Swipe User interface, which closes the current application. The suggestion was knocked down right away, but the developer did not give up, sharing the example of the functionality for others to test instead. As a result there was a several hundred message long conversation thread in the Bugzilla, which was the internal bug reporting system at Nokia, where the management and developers confronted each other over this feature. Finally the feature was included and in PR 1.1 software update it was in use as a default. 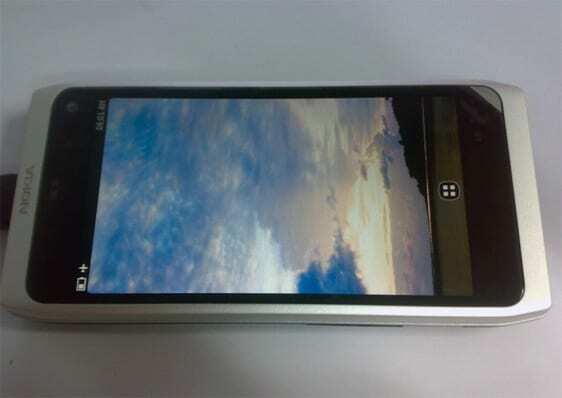 First signs of Nokia’s internal competition between two platforms were seen with the N810 device. It was released in late 2007 and entered the market without phone functionality. It would have been Nokia’s first Maemo phone, but the decision to leave out the phone functionality was said to have been completely political. According to a Maemo team member we interviewed, Symbian team directors were afraid of the possible competition between the N810 and the Symbian based communicator. Already in 2005 and 2006 it was obvious for some people that Symbian is an old and outdated platform. Adding an effective touchscreen user interface to Symbian would have been challenging. This initiated an internal competition between the Symbian and Maemo teams. 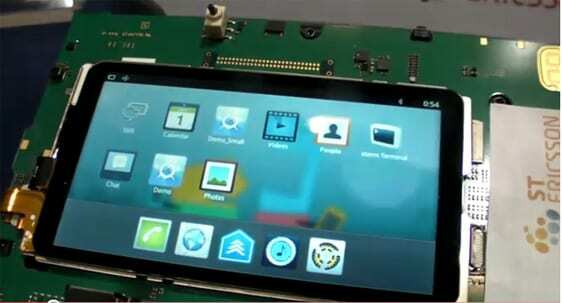 After the N810 device announcement, the Maemo team started to think about a smartphone concept aimed to the masses. Originally the plan was to just add phone capabilities to the N810, but it eventually changed to a completely new device under the codename ‘Rover’ or as we know it – the N900. The N900 was manufactured using mostly the same methods as with the former Maemo devices eg. using subcontractors for the most of the time. The concept was described as being difficult, as it was built one part at a time without general knowledge of how much time was available. Surprisingly, increasing amounts of time and money became available for the development team to do even more and more. The N900 used the Maemo 5 OS, codename Fremantle. 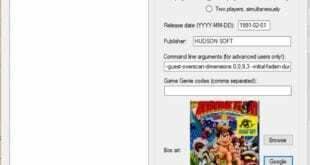 Its Hildon UI was written in GTK+. In parallel with the N900, development of Maemo 6, codenamed Harmattan, was started. Its UI would be completely rewritten in Qt. Nokia continued to develop both Symbian and Maemo for touch screen enabled smartphones side by side, since Symbian was still selling well, and no one guessed how quickly iOS and Android based phones would revolutionize the smartphone market. Inside Nokia, members of the Maemo team thought that the managers of the Symbian team were afraid for their jobs, and used their positions within the company to slow down the development of Maemo by any means they could. At the Mobile World Congress in Barcelona in February 2010, Nokia and Intel announced that they would combine their Linux based operating systems in development into a new joint project; MeeGo. Back then Nokia was developing the Maemo 6 operating system which was the successor of the Maemo 5 used in 2009 in Nokia’s N900 smartphone. Intel had been developing its Moblin operating system (Mobile Linux) since 2007 and the latest Moblin 2 version was specifically designed to operate in Netbooks with Intel x86 architecture Atom processors. MeeGo had the Qt development environment and it utilized the core from Moblin. Nokia and Intel believed that device manufacturers, operators, semiconductor manufacturers, software and application developers would take MeeGo into large scale use. 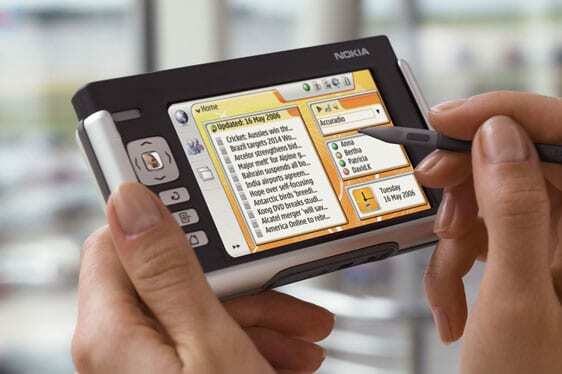 It was estimated in the press release that Nokia and other manufacturers would have introduced MeeGo-based devices during the year 2010. Nokia intended to bring Maemo more credibility by forming an alliance with Intel, but combining the development teams of the two huge corporations was problematic and led to confusions and slowed down the development process even further. Nokia had started developing the Maemo 6 operating system already in 2008, and was quite far in the development before Nokia and Intel decided to merge Maemo and Moblin into MeeGo. 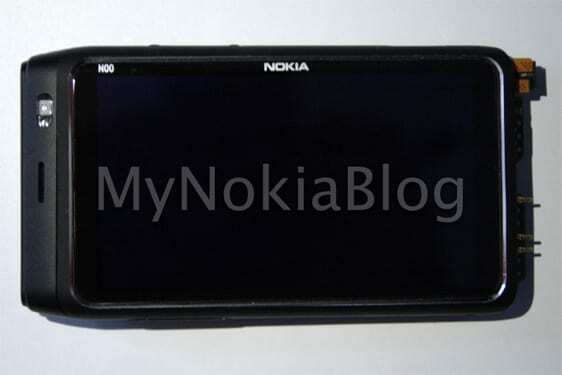 Nokia decided to continue developing Maemo 6, codename Harmattan, and to make it as compatible with MeeGo as possible. Nokia used to name its Maemo operating system versions by different winds; Harmattan is the name for a trade wind in western Africa. Harmattan was supposed to act as a bridge between Maemo and MeeGo, which was being developed in cooperation with Intel. 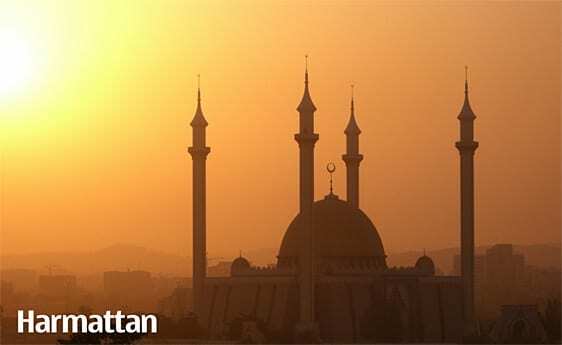 Harmattan was developed to be API (Application Programming Interface) compatible with MeeGo version 1.2. Debian’s .deb-packaging was to be used as the binary package system for the applications, while in MeeGo the choice was RPM-packaging (Red Hat Package Manager). At about the same time in 2008, Nokia bought Qt from the Norwegian Trolltech, which is a platform-independent development environment for software and user interfaces with C++ support. After acquiring Qt, the Symbian and Maemo teams started developing their own smartphone OS UI development tools based on Qt’s QGraphicsView. The Symbian team’s development tool was known as Orbit, while the Maemo team’s was known as libdui (Direct UI Library). Hundreds of people worked on these projects at Nokia, and many thought it made no sense at all. Soon in the development of libdui, it was discovered that QGraphicsView was quite unfinished, and new problems were found in Qt itself. QGraphicsView didn’t have any support for widgets, so those had to be developed on top of the QGraphicsView. Continuously changing user interface development requirements caused internal problems within the development team, and applications were already being coded on top of libdui, although its development wasn’t finished yet. Orbit, which was developed by the Symbian team, had a very similar appearance to the libdui. However, these did not share any code. It was frequently rumored and apparently at some point even decided that Orbit was to replace libdui, which would imply a total rewrite for the Harmattan’s user interface layer. The plan was dropped in the end, but several months of work had already gone to waste. 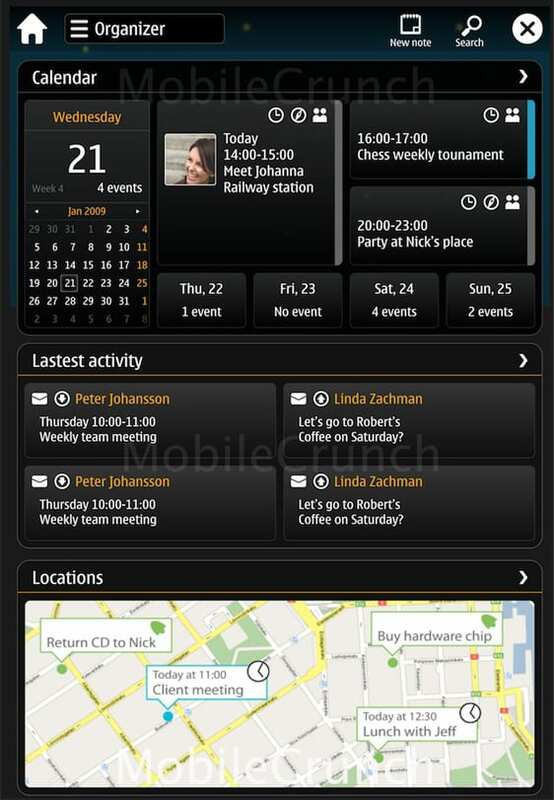 At the Maemo Summit event in October 2009, before the cooperation between Intel and MeeGo, Nokia displayed concept pictures of the Maemo 6 user interface, developed with Qt. 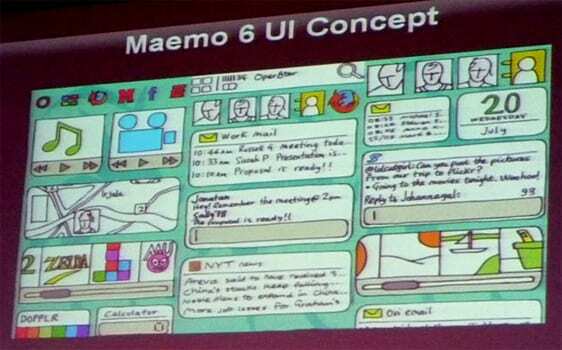 Maemo 6 was promised to bring an “iconic user experience” and internet services in one esthetical package. The user interface’s desktop consisted of multiple drawing areas (canvas principle) and was filled with applets, widgets and application launch icons. Multitouch support for capacitive touchscreens was being planned for Maemo 6 for both landscape and portrait views. Nokia hadn’t supported portrait view in its Maemo devices before, so it was a big change. The Harmattan UI was originally based on the Activity Theory principle, a frame of reference for studying human behavior and development processes. The goal is to understand society, personality and, most importantly, how these two are connected. The theory was originally developed by the Russian psychologist Vygotsky. The aim was to utilize information on how people combine tasks and communicate with each other, and thus support these ways of working instead of forcing people to adopt technology-based working models. The system would adapt to the way the user interacts eith it, to ensure reciprocated interaction. Showing running applications as shortcuts, which was a popular feature in the N900, was utilized when designing the user interface for Harmattan. 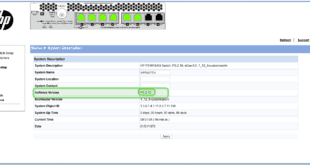 The requirements for the concept of the Harmattan user interface included support for mobile internet, awareness of social media, multitasking, personalization and beginner and expert user modes. It had to be clear to the user how to personalize the device to their taste. The view was supposed to display the operator, third party applications, the state of the device and give the user a feeling that he has control over the system. The user should be aware of the state of the battery, the network signal and the date and time. All the notifications and their previews were supposed to be shown in one designated place. From the main view there should have been quick access to key features, such as contacts, phone, emails, browser and search. In a status area there should have been appropriate markers which tell the user what is, for example, consuming battery. First Flash-based prototypes of Harmattan UI were created in the spring of 2009. In the beginning the idea was that there would be only a few canvases and small amount of widgets inside of those. There were shortcomings in the inner communication of the Maemo organization and the original concept became remarkably more complicated. The result was predominantly a modern version of the Symbian user interface. The first realized concepts comprised of a home screen, onto which widgets could be added, an application switcher, a notification area and an application launcher. During 2009 the original concept and the theories behind it were expanded due to the changes in the design team and the constant communication problems. Instead of a few canvases only, the screen became filled with many big canvases, with a great number of widgets inside them. The requirements expanded and the number of homescreens had to be increased to more than just one. The user interface was becoming disorganized and complicated, especially for the developers, but the feedback from user tests was better than ever before. 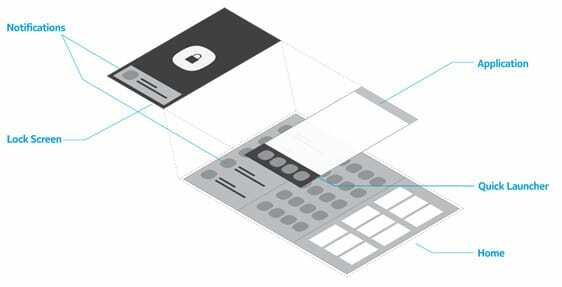 The intention was to invest in graphical elements in the Harmattan UI, but the investment wasn’t visible in the first practical versions of the UI. The user interface was different and daring, but due to the superfluous complexification it had little to do with the original psychological theories. Meanwhile the deadline on the release of Nokia’s first Harmattan device codenamed Columbus had been passed and the frustration of Harmattan developers grew. The people who became the directors of the user interface design in late 2009 didn’t understand the whole concept of the Harmattan UI and it was abandoned. In late December 2009, development for a new concept called Simple Dali UI began. With its completely different model of thought the last remains of the original Activity Theory were abandoned. Home view was designed to be straightforward and simple. It would only contain a quick launch bar and an application launcher button (in the middle of the screen in the picture). Widgets were abandoned completely and lot of effort was put on multitasking. The UI was simplified largely. The user interface became very similar to competing smartphones in the market. Although the UI was cleaner and familiar looking for the developers, it wasn’t competitive. Linux and open source weren’t sufficient selling points for consumers. The Simple Dali UI was originally meant to be usable by July 2010, that is, in six months. The theme was “Dali as your primary device”. The plan was, that all parts of the software would be at a stage where one could use the device as a primary device in daily use. Although the objective was achieved and the nearly-ready user interface was being polished, the goals had already been set higher. In the spring of 2010 suspicion started to arise that the Simple Dali UI concept wouldn’t be competitive enough. Multi-tasking alone couldn’t create good of a story enough to sell the devices and the user interface. In the background new enhancements for the UI were being made and some of the old requirements were being brought back. In the August of 2010 the third UI for Harmattan began development. First working prototype of the Seattle-codenamed UI was finished in a couple of days. From the first concept pictures it was apparent that the UI was probably the best ever seen in smartphones. In the Seattle UI the investment in graphical design was clearly visible and it brought back some of the basic principles of the original Harmattan UI, which were ignored in the Simple Dali UI. According to many of the people we interviewed, Seattle UI or Swipe UI concept was designed by the 80/20 design studio from New York, which employs several ex-Apple and ex-Adobe employees. Nokia’s logo is visible in the company website’s references page, but no pictures of the Swipe UI can be found. Even though the concept had come from an outside subcontractor, the style and feel after which applications were designed was created at Nokia. Swipe UI combined with the new device codenamed Lankku received a lot of support inside the MeeGo team. Everyone knew that the product was a winner. All that remained was to make it available to consumers along with the subsequent projects. According to an employee who worked in OSSO, Maemo and MeeGo teams from the beginning, Kai Öistämö’s (the manager of the Nokia Devices unit from 2007 to 2010) original MeeGo strategy was to develop one flagship phone to the market per year, just like Apple does. At least in this strategy, there weren’t plans to pump out a lot of MeeGo devices to the market at the same time. Instead, completing even a single device required a lot of work and developers realized that it was a very challenging task. The codename of Nokia’s first Harmattan device was Columbus, which was supposed to be released during the first half of 2010, only a few months after the announcement of the Meego cooperation between Nokia and Intel. However, mix-ups and delays in the development of the Harmattan UI, Columbus was delayed from the original release schedule. The release was cancelled in the end of 2009, when the development of the Simple Dali UI was started for a new device codenamed Dali. 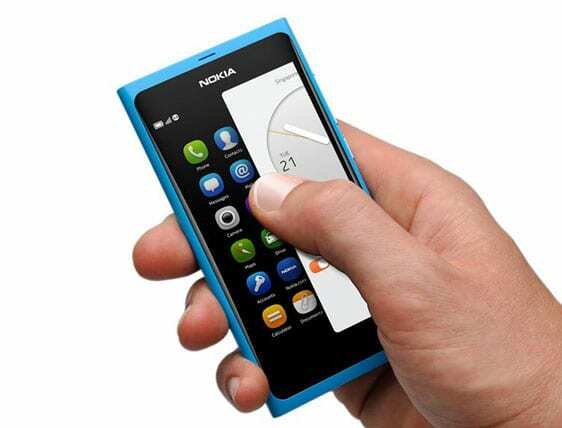 The design of the Columbus is similar to the Symbian^3 based Nokia N8 that was released in April 2010. After abandoning Columbus, the design was decided to be used in Symbian phones. This was an astonishment for the Maemo team. 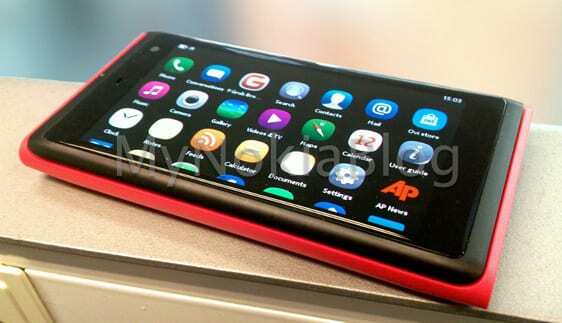 The My Nokia Blog site has published a set of pictures of the Columbus device, from which it can be seen that the device was meant to be used in landscape orientation based on the logo position on the edge of the screen. In the pictures the device is missing it’s bottom part. 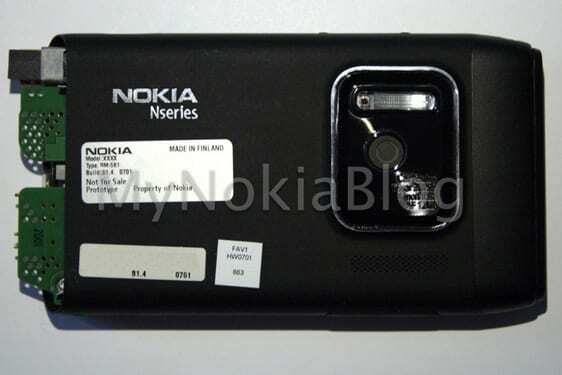 On the backside there is a 12 megapixel autofocus camera with Carl Zeiss optics, most likely the same one that can be found in the N8. After the delays in the development of the Harmattan UI and the cancellation of Columbus, a new device codenamed Dali, with a QWERTY keyboard was used as a development platform device. Dali was the development platform for the Simple Dali UI in spring of 2010. It replaced the original Harmattan UI that was cancelled in the end of 2009. 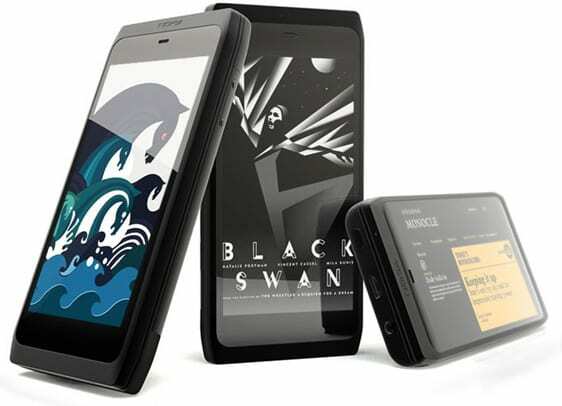 Dali was supposed to be released to the market as the N9-00. However, the release was decided to be cancelled because it was deemed obsolete at time it would hit the shelves. A great number of devices (92,000) had already been already manufactured, so Dali was finally released at the same time with the N9 as a developer-only device, called N950. It couldn’t be bought but Nokia borrowed them for developers. The outer shell of Dali was made of aluminum and it featured a 4” LCD display with a resolution of 854×480. Powering the device was a Texas Instruments OMAP 3630 system on chip with an ARM Cortex A8 processor and a PowerVR SGX530 graphics chip and one gigabyte of RAM. The phone also had a 12 megapixel camera module. On June 21st 2011, Nokia published the N9, codenamed Lankku. It used the Meego 1.2 Harmattan operating system. Instead of marketing it as a MeeGo phone, it was mostly marketed with its design and the Swipe UI. The body of the N9 is produced by milling the cover from one piece of polycarbonate, and on top of it there is curved protective glass. Nokia has later used the design of the N9 in its Lumia Windows Phones and won many design prizes. Elements from the Swipe UI have been used in Nokia’s affordable Asha phones. Lankku was supposed to hit the market with the model name N9-01. 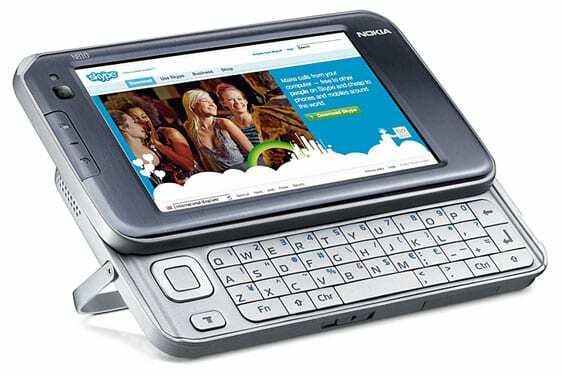 After Nokia announced its new smartphone strategy in April 2011, the N9-00 with a QWERTY keyboard, codenamed Dali, was decided to be rejected. Lankku was chosen to be developed to a finished product and it was named as N9. The N9 has the same specifications as the Dali, that is a Texas Instruments OMAP 3630 SoC with an ARM Cortex A8 processor running at 1 GHz, a PowerVR SGX530 GPU and a gigabyte of RAM. In the back there is an 8 megapixel camera with Carl Zeiss optics and a dual-LED flash. The N9 started shipping in September 2011 and a few software updates were released for it, the latest of which, PR 1.3, became available in July 2012. A couple of days later many of the members of Nokia’s MeeGo team left the company under the direction of software development manager Sotiris Makrygiannis. 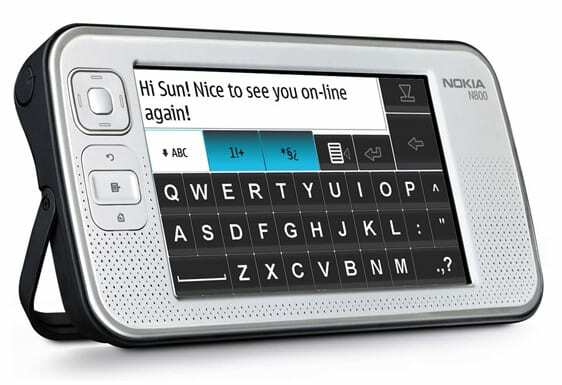 Nokia intended to release a phone codenamed Lauta, with a QWERTY keyboard immediately after Lankku in the late 2011. 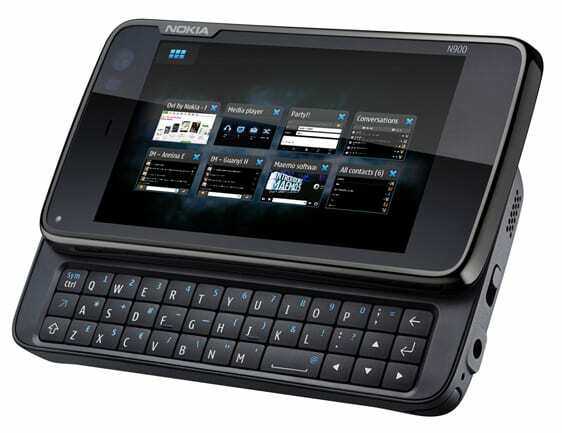 The shell of the phone was made out of the same polycarbonate as the N9, the only difference being the slide-out QWERTY keyboard. Inside, Lauta uses the same OMAP 3630 SoC by TI as the N9. It would have been the successor of the N900 awaited by many but it never saw the light of day as a finished product. Nokia usually gave the official model name for a device at the last minute before release and the official name for Lauta is not known, if it was ever even decided. Nokia developed a device based on Intel’s Atom SoC and x86 architecture under the codename “Soiro”. There is only a small amount of information available regarding this device but it utilized the same design as the ”Lauta”, which means it also had a slide-out QWERTY keyboard. Instead of Harmattan, “Soiro” used the Ilmatar platform, which meant RPM-packaging for the software installation and hardware adaptation for Intel’s hardware. According to the software developers we interviewed, working with the Ilmatar platform and Intel’s hardware was extremely challenging. Ilmatar’s user interface was supposed to use a different approach, where the aim was to discover what information would be available from the user using modern technology and how that information could be utilized in the user interface itself. Ilmatar’s new and different user interface was supposed to be one of the selling points of Nokia’s Intel-Meego device. 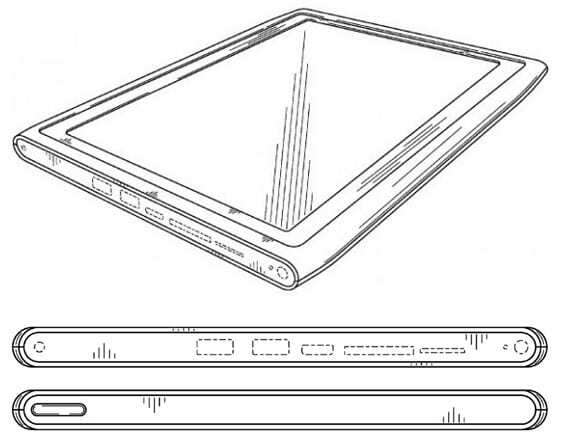 Many ex-Nokians we interviewed confirmed that the design of the Senna codenamed tablet was seen in the design patents that appeared in public. Senna was like a giant N9 that was based on ST-Ericsson’s NovaThor U8500 platform and 1080p video could be shot with the camera on the back. Senna used a public version of MeeGo instead of Harmattan, but the user interface and the apps were the same as in the N9. 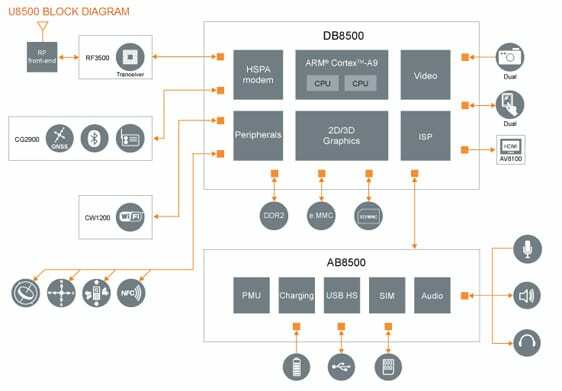 The U8500 comprises of two ARM Cortex A9 cores, an ARM Mali 400 GPU and has a HSPA+ modem integrated into the same chip. A working tablet prototype with the N9 design was also presented in late 2010 to the CEO Stephen Elop, who praised the device. Only a little later Senna was buried with the abandoning of the MeeGo strategy. 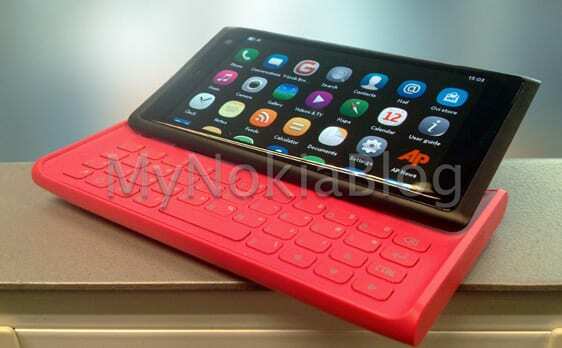 Engadget, Is this Nokia’s tablet-shaped MeeGo device? In the Olli-Pekka Kallasvuo era Nokia had strongly focused outside of the United States and especially at the end of the Kallasvuo era Nokia’s stand had collapsed in the North America and the situation was dire. Apple’s iPhone and Google’s Android provided an easier user interface than Symbian and Nokia only had products sold in the global market to offer for the demanding operators and the American customers. In October 2008 Texas Instruments announced that they would stop investing in smartphones’ baseband modems and that they were looking for someone to purchase the wireless department. Being in a weak economic situation, TI meant to save about $200 million and focus solely on the development of the OMAP 4 application processor. The alternatives to the OMAP 3 line SoCs by TI were Qualcomm and Intel, of which Nokia ended up opting for Intel. Qualcomm would have offered to do the hardware adaptation, that is the lowest level of the software that connects the operating system to the chipset, but wouldn’t help developing the operating system, i.e. Harmattan or MeeGo. Intel had the freshly made MeeGo cooperation going for it. An interviewee described the decision concerning Intel as a disaster, however Qualcomm probably had not prioritized MeeGo very high compared to other projects such as Android and Windows Phone. Choosing Intel ignored the North American market entirely, because Intel did not have sufficient plans for supporting CDMA-networks, which are widely used in the United States. Nokia and Intel had also invested heavily in the development of the fourth generation network technology WiMAX, which was competing in parallel with LTE. 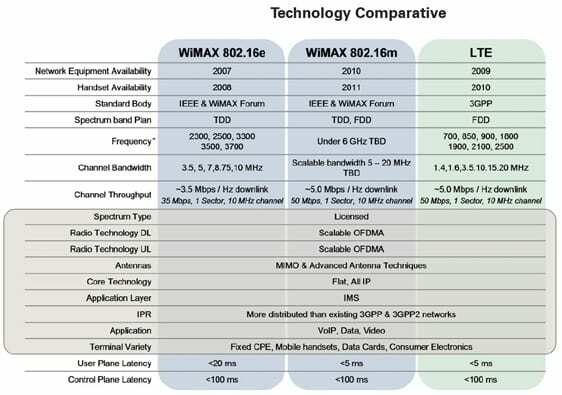 Of these competing 4G technologies, WiMAX came to the market first when Sprint built the first 4G network in the US using the WiMAX technology. The development, however, was slow and in practice the network’s data transfer speeds were far from the theoretical maximum speeds. The better compatibility, reliability and actual transmission speeds offered by LTE has made it the technology of choice for network operators when building their 4G networks. When Nokia was making their future hardware choice after TI’s OMAP, Intel didn’t have proper plan or schedule for LTE support. Even today, 2.5 years later, Intel is not offering integrated LTE support in their latest Medfield Atom SoC, but has announced to start delivering testing units of its Intel XMM 7160 baseband modem by the end of the year and that the chips would be available in 2013. Negotiations with Qualcomm were apparently restarted later, and it was planned to produce a MeeGo device based on Qualcomm’s Snapdragon SoC (System-on-a-Chip) after the Intel-based MeeGo device. Update: We received information after the article was published that Nokia was developing a version of N9 with Qualcomm Snapdragon SoC to US market (most likely RM-716) in the beginning of 2011. This offered Nokia easy and simple option when choosing a new strategy since Windows Phone was designed to use this same platform. ”Sea Ray” prototype (Lumia 800) with identical design to N9 was being shown immediately after N9 was launched. In addition to the lack of LTE support, another MeeGo developer described that Intel was trying to slow down the development of MeeGo on its own part. 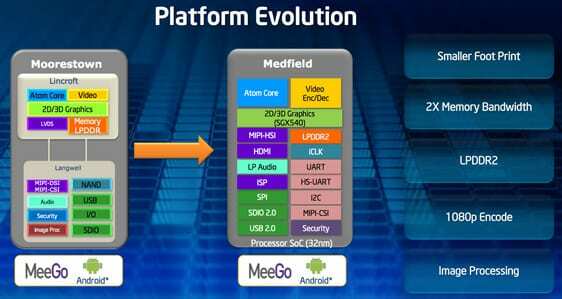 MeeGo was designed to support both x86 and ARM architectures, and the hardware adaptation of Intel’s Atom SoC mated with MeeGo, codenamed Ilmatar, wasn’t ready yet. Intel was afraid it would be left as the underdog with its x86 SoC, and many of the things related to the development of the operating system were completely left for Nokia to deal with. In the spring of 2010 Intel offered a smartphone platform codenamed Moorestown to the market, which consisted of an application processor codenamed Lincroft manufactured on a 45 nanometer process, a Langwell peripheral device chip on a 65 nm process and a separate baseband modem. The SoCs of the Atom Z6xx chipset family ran at a clock speed of 1.2-1.9 GHz, they had one CPU core and an Intel GMA 600 GPU. The Moorestown platform was never released to the smartphone market and it was abandoned by Intel. In early 2011, Intel talked about the Medfield platform, manufactured with a 32-nanometer line width, in which all of the functions are integrated in one Penwell-codenamed SoC. The Penwell platform has a 1-2 GHz Atom processor with Hyper-Threading support, a PowerVR SGX 540 GPU, 512 KB of L2 cache and a LPDDR2 memory controller. During 2012 some Medfield based Android phones, such as the Lenovo K800 and the Orange San Diego, were published. 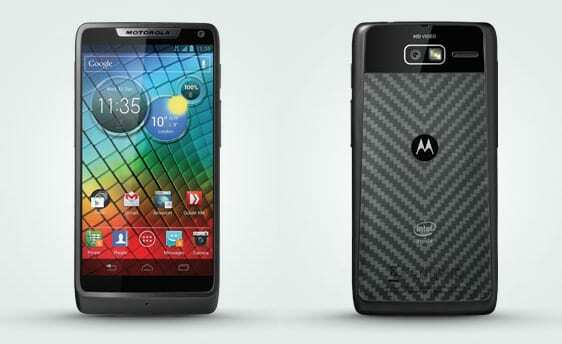 Motorola’s RaZR i is the most advanced Intel based smartphone, which uses the Medfield platform’s Atom Z2460 SoC with a 2 GHz processor. The biggest thing that changed when Stephen Elop began his post as the CEO of Nokia, was centering the business around North America. According to Elop’s views, the trends that originate from the US are the ones that will prevail in the entire world, as the iPhone and Android have shown. That’s why Nokia absolutely had to be able to compete in the challenging American market to be successful globally. 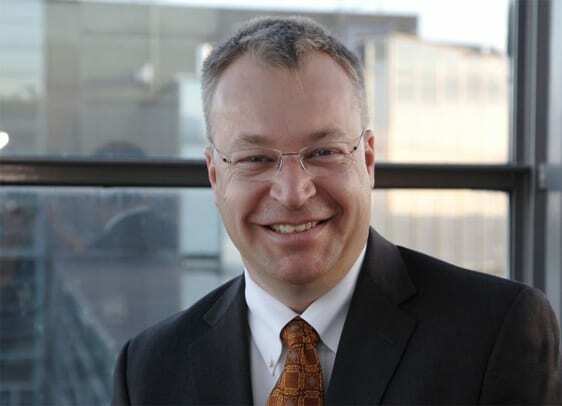 Soon after beginning his job at Nokia, Elop started the ”Sea Eagle” project whose purpose was to sort out and analyze alternatives to Nokia’s smartphone strategy. In addition to tens of their own people they hired consultants from outside of Nokia. As a result a decision was made that the combination of Symbian and MeeGo was not sufficient for a succesful long term strategy. In the United States AT&T would have agreed to sell N9, although hardware vice it was considered outdated compared to its Android rivals. Apparently another version of N9 was in development for Verizon, codenamed RM-716. Even if N9 would have been released in North America in 2011, Nokia could not have had a successor with LTE support to offer for a long time in the fast paced smartphone market. 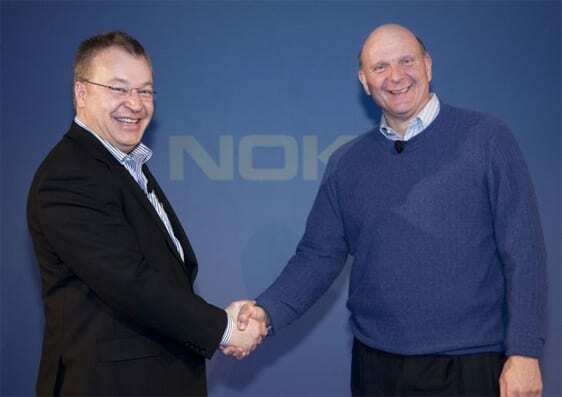 Elop stated in a memo sent to his employees that Nokia might only have one MeeGo phone in the market by the end of year 2011. During the analysis the MeeGo team didn’t have any device that could have been shown to Elop or the Nokia Board of directors that would certainly have been available for the winter holiday season of 2010. Devices based on the OMAP 3630 SoC used in the N9 could have been brought to the market at a tight schedule, but an ecosystem to compete with Apple and Google would have had to be built around it without LTE support and the support from North American operators. As a result of the Intel cooperation there was no mid-priced chipset that could have competed against the cheaper Android phones, and Symbian was no longer able to do so. The N9 was finally finished and ready to be published in the summer of 2011, and it started shipping in the fall as Nokia finally had a clear plan to release the phone as a consequence of Nokia’s and Microsoft’s Windows Phone strategy. The organization had the authority to make decisions, less people worked on the project, the internal and external arm wrestling at Nokia had finally stopped and everyone was focusing on finishing the product. In the end, MeeGo didn’t suffice for other manufacturers either. Nokia was the market leader and others thought that Nokia had too much power in the MeeGo project. At the end of 2010 negotiations were held with Samsung, LG, and Sony Ericsson, but none of them decided to cooperate with Nokia to develop the MeeGo ecosystem and the big European operators retreated from the investments simultaneously. In the beginning of Febuary 2011 CEO Stephen Elop sent a memo to the company’s employees, which emphazised the current situation of the company, the problems and the prospective future. Elop told a story about a man working on an oil rig, who wakes up at night to an explosion realizing the whole platform is on fire. The man manages to get to the edge of the rig and needs to make a decision whether to stay on and die, or jump 30 meters into the dark and freezing water. He had to make a decision. The man decided to jump, even though under regular circumstances he would not have even considered it. At this time, however, the conditions were far from normal. The man survived the drop and the chilling water. After being rescued he noted that the burning rig caused a radical change in his behavior. MeeGo was expected to be a winning platform for high-end smartphones, but according to Elop, at the current timescale Nokia would have had only one MeeGo device in the market by the end of 2011. The battle between devices had turned to a battle between ecosystems, which include software developers, marketing, web search services, social media and location services in addition to hardware and software systems. Elop stated that competition was able to surpass Nokia´s market shares not only with devices, but with whole ecosystems, which indicated that Nokia had to decide how to either create, promote or join into one. According to Nokia’s new strategy announced on February 11th 2011, the company agreed on a strategic partnership with Microsoft to create a global mobile ecosystem. Microsoft’s Windows Phone 7 OS, released in autumn of 2010, and its following generations would be the new primary smartphone platform for Nokia. Nokia announced that it was to develop new features to the platform in areas where the company is a market leader, for example in digital imaging features. With the planned partnership, Nokia would contribute to the future of Microsoft’s Windows Phone platform. Nokia would provide expertise on hardware design, language support, and software localisations and help bring Windows Phone to new price points, market segments and new geographical areas. Nokia and Microsoft were to pursue a close partnership in marketing. The plan was also to make a mutual product development plan for their mobile devices and services. ”Today, the developers, operators and consumers want compellingmobile products, which include not only the device, but the software, services,applications and customer support that make a great experience”, said Nokia president and CEO Stephen Elop at a press conference in London. ”Nokia and Microsoft will combine their strengths to build an ecosystem withsuperior global scale and scope. This is now a three horse race”, Elop continued. Nokia released its first Windows Phone 7.5 based phones in September 2011, when it introduced the Lumia 710 and 800 models in the Nokia World event. The Finnish Jolla Ltd., founded by the ex-MeeGo developers of Nokia, stepped into publicity via Twitter in July 2012. The company, which employs about 60 people at the moment, continues the development of the MeeGo operating system and smartphones from where Nokia left it. 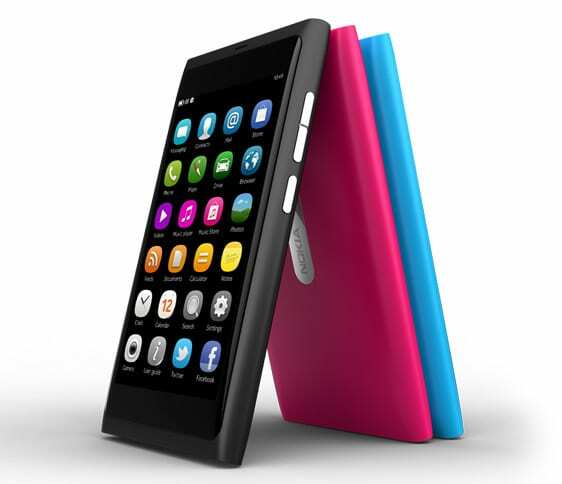 The MeeGo-based operating system using RPM packaging is codenamed Sailfish and Jolla will license it to device manufacturers in spring 2013. Sailfish is being built on an open source project Qt and Mer Core and it scales to be used in smartphones, tablets and televisions among other devices. Jolla will present the user interface it has developed at the Slush event that takes place on November 21st-22nd. There Jolla also intends to launch its SDK for the Sailfish operating system. Jolla intends to reveal information and availability of its Sailfish device before Christmas. According to a press release by Jolla, they are gathering partners including semiconductor manufacturers, OEM and ODM manufacturers, operators and retailers. They are also raising approximately 200 million euros for building an ecosystem around the Sailfish operating system. These operations will be managed from Hong Kong, since the company believes the next big change in the mobile market is to happen in China. Practically all the current and former Nokia employees I interviewed profusely praised Maemo and Meego teams’ work though there were all kinds of bumps along the road. The teams were extremely international, occasionally the job assignments were very interesting and at best they were really committed to their work. Many stated that they were proud of the N9. The organization, however, was led from an ivory tower. Towards the end the individual developers had no say in, or even worse no knowledge about, the decisions and changes that took place in the background. Many Nokia employees we interviewed were, at the time, focused on their specific task, and not aware of the bigger picture of MeeGo development. The technology was developed in various teams, which did not communicate with each other. No one made sure that the pieces of the puzzle fit together. In retrospect the factors that led to MeeGo’s downfall are easy to point out. Nokia developed Harmattan and MeeGo alongside with Symbian. Resources went to a huge waste, when both platforms were developing their own Qt-based user interface design tools. 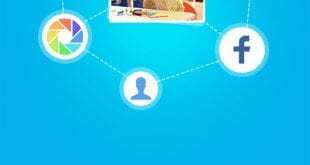 Applications were being simultaneously developed on top of unfinished development tools. Furthermore, the communication within the Maemo team was lacking. Harmattan’s development begun alongside Fremantle, or Maemo 5, but no information was exchanged between the respective teams. The development mistakes made with Fremantle were repeated in the development of Harmattan. There was no clear vision of Harmattan, about what kind of a product it was going to be. Different product managers had totally different opinions of what it should be. There was no single person making the product level decisions in the projects. Many subcontractors and whole teams were hired without even knowing what they could do. The organization quickly grew enormous. The user interface for Harmattan was designed without the knowledge of what kind of a device it was going to be used in. The user interface was eventually redesigned twice and it took almost two years. During the UI design, two devices, Columbus and Dali, were buried. The eventual result, Swipe UI and N9, was a successful combination, but the TI OMAP 3 SoC was considered to be aged at the time of N9’s release and there was no LTE support to be expected. MeeGo became the new Symbian in the beginning of 2009. All available resources and personnel were given to MeeGo. The new employees might not have had any particular task and it took them a long time to find a proper place in the organization. The organization was also filling more and more executive positions, which in reality didn’t help getting the projects forward or getting them completed. Everyone inside Nokia had their opinion on MeeGo and the MeeGo team listened everyone. Choosing Intel as a partner in developing the OS and providing hardware was most probably a grave mistake. Intel has developed x86-based Atom SoCs for years, but it was only this year that the first x86-based smartphones were shipped to consumers. Even now Intel has no LTE baseband modem to provide and this situation is estimated to last until 2013. Moreover, Intel hasn’t had a low or medium cost Atom SoC to compete with low cost Android smartphones. While Nokia was struggling with the development of Harmattan and Meego, its worst competitors Apple and Google succesfully created working ecosystems around their operating systems and took over the North American market. In the end, Nokia tried to get other manufacturers on board in developing the MeeGo ecosystem. However, there were no interested parties and Nokia was left alone. In the war of the ecosystems, breaking into the North American market without LTE support and proper support from other manufacturers and operators would have been an impossible task for Nokia. Apple’s iOS is a closed platform and Google wouldn’t have let Nokia have any advantages for joining the Android platform. Nokia chose Windows Phone as its new smartphone strategy under the direction of Stephen Elop and began a strategic collaboration with Microsoft. Now Nokia has Windows Phone 8 and all the chips are on the table: it’s all-in. PS. We interviewed mainly Nokia’s Finnish employees for this article. If youhave more details to share anonymously please contact sampsa.kurri[a]muropaketti.com. Especially all information about Intel HW, ”Lauta”, ”Soiro” andQualcomm are welcome.